Leave the days of fumbling with charging cords behind with the Wireless Charging Pad from Sutter's Mill Specialties. This sleek and portable tech device protects against overheating, over-charging, and short-circuiting, and uses an included micro-USB cable for power. 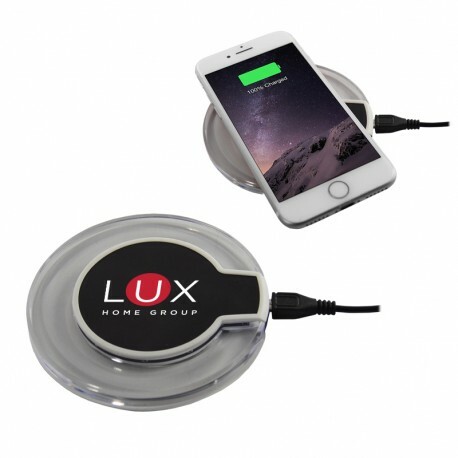 Simply place your smartphone on the pad for a fast charge. 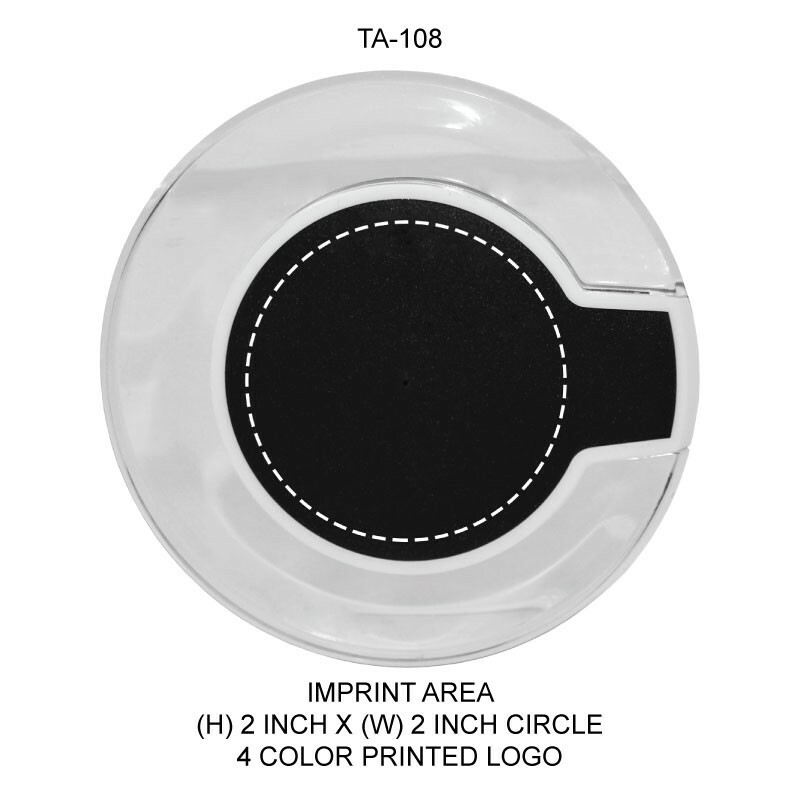 Each pad also proudly displays your custom-printed logo, available in full color. It's the perfect tech gift for employees or customers alike. This low-profile USB pad charges your devices quickly using wireless technology.